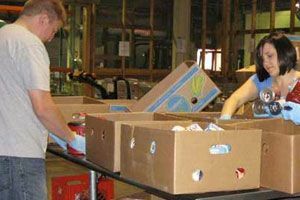 We have listed all of the Medina City food pantries that we have found. With help from users like you we have compiled a list of some. If you know of a food pantry that is not included here, please submit new food pantries to our database by going to the ADD A LISTING link on the header of our website. Provides a food pantry. Serves Medina County. Must meet federal income guideline requirements. Documentation Required: Completed eligibility form to show proof of need. Pantry hours: Last 2 Saturday of the month: Signups begin 9am and service begins 9:30am-10am. Available Saturday before Christmas and Thanksgiving. Not available Saturday after Christmas and Thanksgiving. Provides a food pantry. Serves Residents of Medina City in need of food or other basic needs assistance. Pantry Hours: Monday and Thursday eveningsBy appointment. Hours: Monday 5:00pm - 7:00pm Friday 1:00pm - 3:00pm Our Food Pantry was established when a small group of our church chose this outreach as a mission project. The pantry grew from being a small closet in the church office into a complete food pantry that is located in our new building next on Foote Road. We currently serve over 100 families in our community.